As it's name implies, these 16'' high protectors are not attached to the posts, and so they can fit any welded, bolted or 4.0'' face frames. Two side rails can be connected to two protectors to act as an end of row protector. 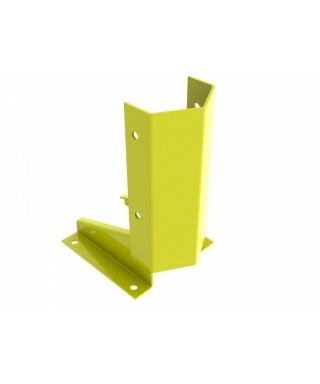 Four (4) 1/2'' x 3 3/4'' anchors (billed separately) for each protector.